I have three active grandsons that I love to babysit several days a week, and I like to keep them busy with lots of activities that are enriching and possibly educational. This summer I will watch the grands, Tigger (8), Kona (6), and Tahoe (4), for several weeks before the two older ones return to school in the fall and I wanted to create an in-home day camp experience for them. I decided to plan a variety of day-camp-type activities by choosing a theme and planning activities for each of the eight Multiple Intelligences when designing the day camp. I also wanted some academic focus embedded in the activities I chose. 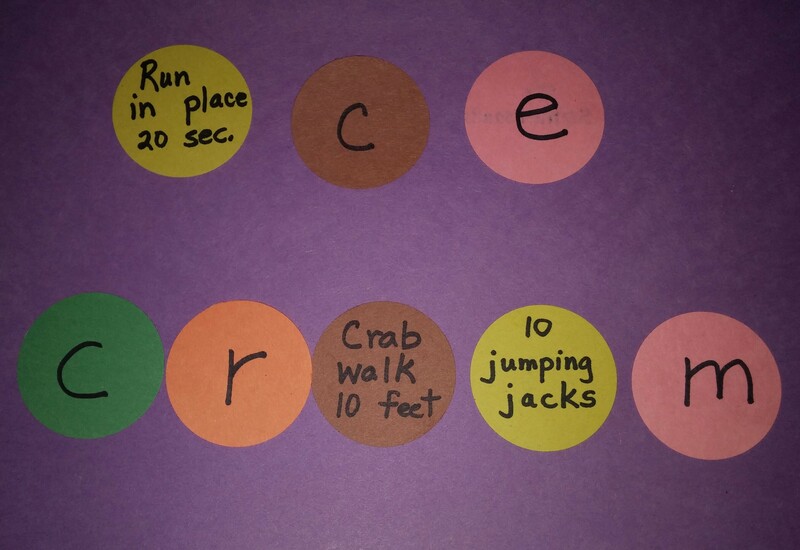 The weekly schedule: Each day I will “dip into” the Read Aloud Book (see Linguistic Intelligence), have the grands (or day campers) make ice cream using a different recipe or method (see Mathematics Intelligence), and offer a craft project (see Spatial Intelligence). I will prepare at least one activity from the other intelligences sometime during the week, so that all eight intelligences are covered by the end of this day camp unit. I will also mention any academic focus I plan on integrating into any of the activities. Nonfiction: How to Make Ice Cream by Tom Greve is a book that gives directions for making ice cream using zipper type plastic bags. There is also some information on the science used in making ice cream. It is especially good for grades 1-3. 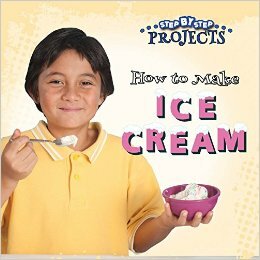 Academic focus: Following Directions or Sequencing-If I use the method for making ice cream described in the book, then the academic focus will be on following written directions. Otherwise, I will use this book as a sequencing activity. Since there is also a table of contents and picture glossary in this book, I will make sure to point those features out to my grands as well. Fiction: Ice Cream Summer by Peter Sis: This is such a cute story of a little boy who writes a letter to his grandfather about all his adventures during the summer. Interestingly, all of his summer activities seem to involve ice cream in some way. He practices his math, spelling, reading, and even learns about other countries and some history…all in the pursuit of his favorite pursuit: ice cream. The pictures are adorable because they use the ice cream cone motif in the illustrations of sand castles, airplanes, and even maps. Academic Focus: Details-I’ll have the grands give me a few details from the story. 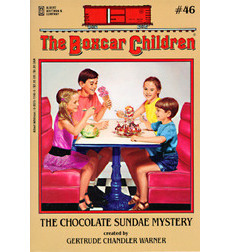 Read Aloud: The Boxcar Children-The Chocolate Sundae Mystery by Gertrude Chandler Warner explains the story of four siblings (Henry, Jessie, Violet, and Benny) who help out at a local ice cream shoppe during the summer and solve several mysteries regarding missing parfait glasses, chocolate syrup, broken windows, and spoiled whipped cream. 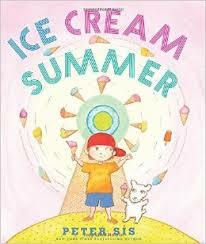 My grandsons love this series already, but this story is certainly a favorite since it deals with ice cream. I love how the Alden children enjoy helping others and the thought processes they use to solve the mystery. This is a great read aloud book, and is also available as an audible book (which is great to use when traveling in the car with children). Academic focus: Making Predictions: At appropriate points in the story, I will have the grands make predictions on the solution of the mystery in the story. Make Ice Cream: There are many ways to make ice cream, even if you do not own an ice cream maker. Even if you have an ice cream maker, I think it is fun to have the children learn different ways of making this cold and yummy treat. Why not make a different recipe or method each day? 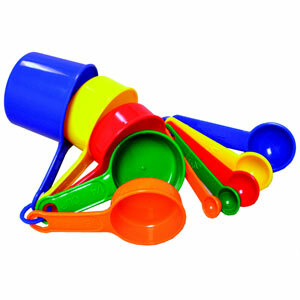 Academic Focus: As part of making ice cream, day campers have to use measuring spoons, measuring cups, etc. so they are using math as part of the process. Where do the ingredients for an ice cream sundae come from? This is a great discussion or research topic for the grands (day campers). I’ll have the grands list the ingredients for ice cream and some of the other foods that might be used to make an ice cream sundae and then either tell them or have the oldest grandson look this information up on his computer. Academic focus: Use a map or atlas to identify the origins of some of these foods used to make ice cream. Cream: Cream can be produced by cattle or goats. Cattle that grazes on natural pasture usually gives cream with a slight yellow tone. Indoor fed cattle or goats produce cream that is more white. Vanilla: This delicious spice comes from the vanilla orchid, a vine that grows up in trees. It originally grew in Mexico and Central America, but now is grown around the world. Sugar: Most sugar in the United States comes from sugar beets. Modern sugar beets were first cultivated in Prussia. The sugar is made in the leaves of the sugar beet plant during the photosynthesis process and then stored in the taproot of the sugar beet plant. Another popular source of sugar is from sugar cane which is a tall grass native to tropical and subtropical areas of South Asia. Chocolate: This comes from the seed pods of a small tropical tree, the Theobroma cacao, which is native to Central and South America. It is grown in many places in the world now, with about 70% of the world’s chocolate being grown in Africa. Craft projects: The grands love to do art projects, so I always have lots of activities in this intelligence. Lot of materials that you already have around the house can be used to make the crafts including egg cartons, cotton balls, paper plates, and playdough. Dramatic play: Running an Ice Cream Parlor-I will have the grands pretend that they own an ice cream shop. Besides using household objects to create their ice cream parlor, I will have my three grandsons design a menu of ice cream cones and sundaes for this shop. Besides having them plan their own special items for the menu, I will encourage them to name each of the items using the names of book titles or storybook characters, such as “Pete the Cat’s Too Cool Banana Blast.” Then the grands can work together to make a poster of the featured items at their ice cream shop. 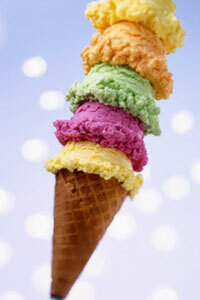 Ice Cream Social: Plan a party for friends, family, or neighbors using ice cream that the day campers make themselves. Racing for Toppings: In this physical activity, the grands (day campers) will have to run back and forth a few times to pick out the toppings they want on an ice cream sundae. The winner, of course, gets their ice cream sundae made first. To prepare for the race: Find a place to hold the race, whether it is in your backyard, playground, or playroom. Make pictures of the different toppings and/or ice cream flavors from which the day campers can choose such as chopped walnuts, chocolate syrup, strawberries, cherries, whipped cream, etc. (The day campers can make the pictures or you can find pictures on the internet and paste them onto paper. I will make multiple pictures of each item so more than one grand can choose the same topping during the race.) Spread the pictures out at one end of the racing lanes. Then decide how many toppings you want the day campers to have on their sundaes. The object of the race is to run and pick up one topping each time the day camper runs to the end of the lane. So if you have allowed each child to have three toppings on their sundaes, they will have to run back and forth three times. 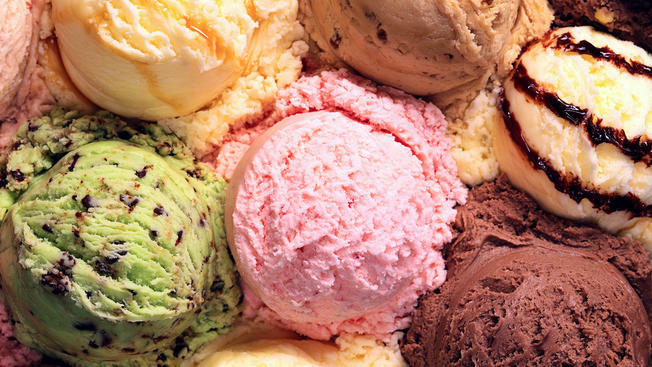 Discuss individually with each grand: What is your favorite ice cream? Why? Journal: I will give each day camper a little booklet, and have them write or draw their favorite experiences from this day camp theme. Great! Thanks for sharing at Practical Mondays. What a creative grandma! I am sure your grandkids are blessed. This strikes me as a full-scale preschool curriculum any school should love! Thanks for sharing at the #LMMLinkup. Thanks so much. I am having such a wonderful time with my grandsons and my mind just spins with ideas for them when I see all the wonderful children’s literature that is available. I love the LMM Linkup! 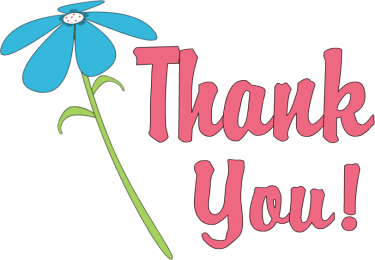 So glad I found you on Monday of Many Blessings linkup. I too am a mimi of three grandsons. They live two hours away, so I can’t do a day camp, but they will be visiting this summer, and I’ll use some of your great ideas. Fantastic work! I’ll be sharing on Pinterest and also with friends. Thank you!